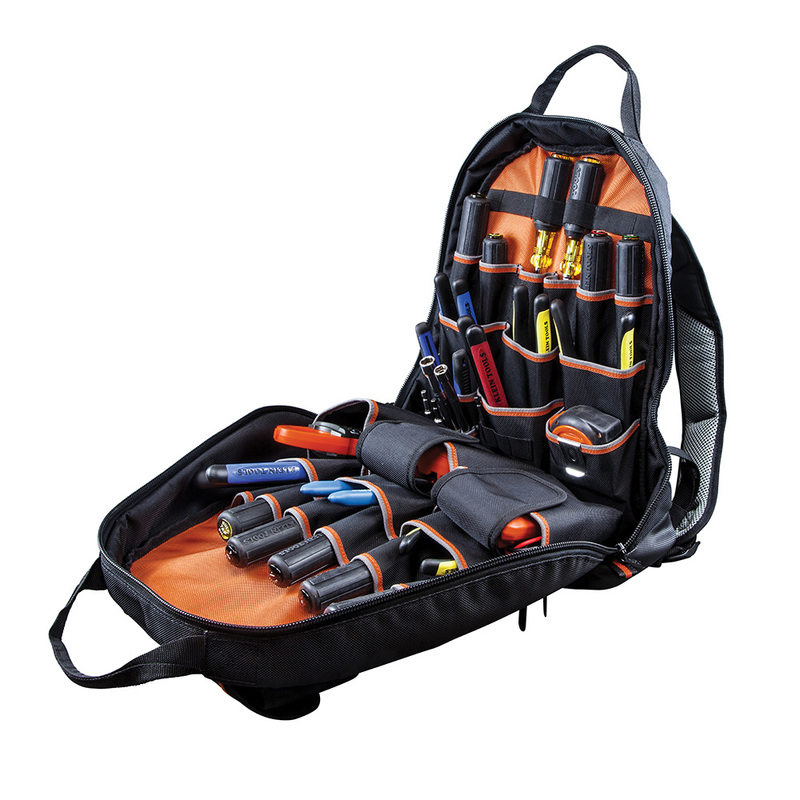 Dec. 14, 2017 (Lincolnshire, Ill.) – Klein Tools (www.kleintools.com), for professionals since 1857, introduces the Tradesman Pro™ Tool Gear Backpack with 35 variously sized pockets. 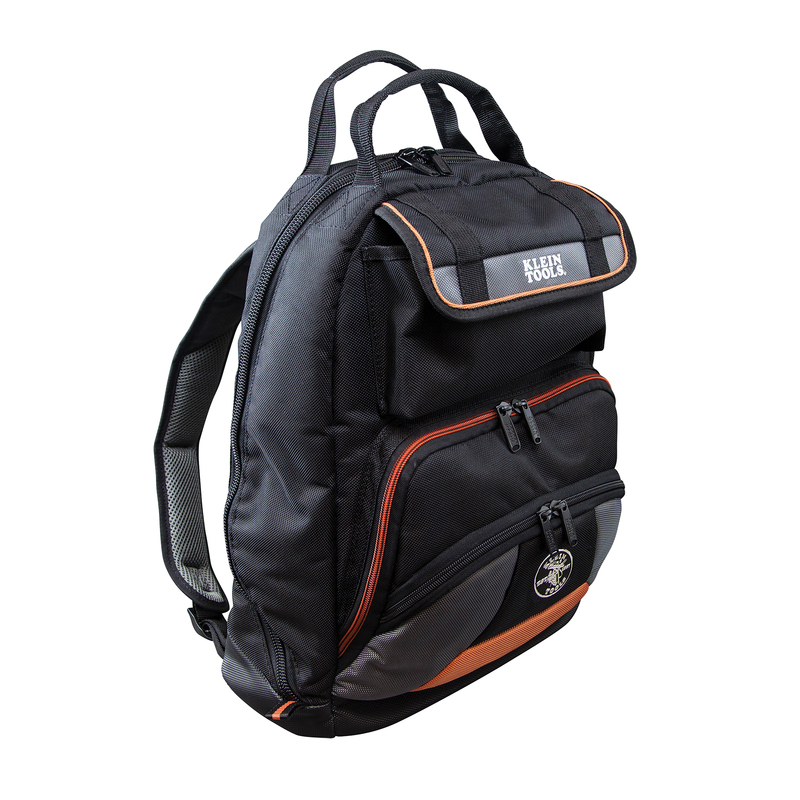 This new tool bag is just the right size to fit the tools, gear and parts tradespeople need to stay organized on the job. Upper pocket holds cell phones, keys, etc.